In the recently held Dialogues on National Quality Infrastructure (NQI) at the Asian Institute of Management, Dr. Clemens Sanetra of Physikalisch Technische Bundesanstalt or PTB, Germany’s national metrology institute providing scientific and technical services, presented how the national quality infrastructures could help make Philippine industries more competitive. Accreditation – recognition of technical competence. He mentioned a particular experience in Germany on standardization which has been adopted internationally. A4, which is the official document format for many government entities, including international organizations like the United Nations is a specification of ISO 216 A-Series. Ms. Cirila S. Botor, former director of the Bureau of Philippine Standards likewise shared information on the country’s initiatives on NQI. She mentioned that a National Stakeholders’ Workshop had been held in the country in October last year where a Working Group under the National Competitiveness Council was established to promote the NQI cause. Working Group Members include the following organizations: Bureau of Philippine Standards (BPS), Philippine Accreditation Bureau (PAB), National Metrology Laboratory (NML) of the Industrial Technology Development Institute of the Department of Science and Technology, Food and Drugs Administration (FDA), National Meat Inspection Service (NMIS), and the Department of Public Works and Highways Research and Standards Bureau. 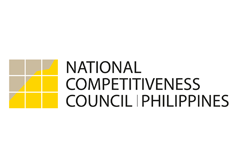 Representatives from the private sector comprise of PhilExport, the Philippine Chamber of Commerce and Industries (PCCI), Federation of Philippine Industries (FPI), National Association of Consumers, Inc. (NACI), and the Philippine Metrology, Standards, Testing and Quality, Inc. (PhilMSTQ). The Competitiveness Bureau of the Department of Trade and Industry serves as its secretariat. The group is currently working on the draft NQI legislation, draft NQI Strategy, preparation of road maps for various industries and finalization of the vision of NQI for the Philippines. Mr. Virgilio Fulgencio, Executive Director of the Department of Trade and Industry’s Center for Industrial Competitiveness facilitated the open forum after the talks. In support of the NQI initiatives, UP ISSI signed a Memorandum of Understanding (MOU) with PhilMSTQ to promote a responsive and sustainable national quality infrastructure in the Philippines. In this regard, a two-day forum-workshop is being organized in November 2014 to bring together mSMEs; government agencies; regulatory bodies; business support organizations, certification, testing, inspection and calibration bodies; industry associations; and other stakeholders in the food processing industry. The forum aims to enhance participants’ awareness, knowledge, and understanding of NQI and its significance in ensuring consumer health and safety, environmental protection, fair trade, and competitiveness within the food industry; identify NQI-related needs and issues; and develop a joint action plan to address the identified NQI issues. “Focusing on quality improvement under the framework of a National Quality Infrastructure (NQI) can help ensure that Philippine-produced processed food products comply with international standards and conformity assessment requirements of trading partners,” expounded Ms. Amparo Montemayor-de Asis, Executive Director of PhilMSTQ, on the planned collaboration with UP ISSI. Standardization - definition of properties, dimension, tolerance, etc.